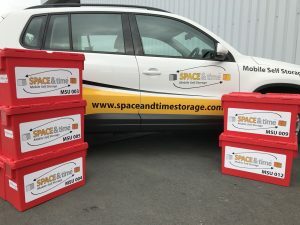 It is surprising then that, until now, self-storage facilities have neglected the needs of students – the demographic which could probably do with self-storage more than most. In terms of the industry’s so-called ‘4 D’s’ of death, divorce, downsizing and dislocation, students find themselves regularly (albeit temporarily) dislocated as they move between university and their homes. For international students especially, transporting items from uni to home is just impractical. So if we could design a self-storage facility and service for students, what would it look like? That’s the question we looked to answer before creating Space & Time. Despite the stereotype, students are rarely sat around doing nothing. If they are not slaving over their laptop getting that assignment finished, they’re hurrying from halls to campus to get to a lecture or to the city centre to meet friends. 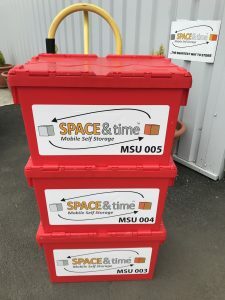 We thought that a student self-storage booking service would have to be easy to access and quick to complete regardless of what device students were using. Our step-by-step booking process was designed to help students organise their storage while on the go. A few clicks and you’re done! We also asked ourselves the question: what would be the worst part about travelling to a self-storage facility for a student? How about travelling to a self-storage facility? With our mobile self storage model we often find that customers rarely need to come to the facility at all. This is perfect for students who rarely have their own transport and may not even have a driving licence. Although students would be more than welcome to visit if they so wanted (with 24 hours’ notice), by giving them all the boxes and packing materials they need and transporting everything to the facility ourselves, there really was little reason for a student to spend their valuable time travelling to us. With our national delivery and international shipping capability, we can take care of returning the items too whether they need to go to Salford, Southampton or South Africa! Some students accumulate a lot of stuff in a short space of time and others only have a few possessions. Some need to store their items for a few weeks while on holiday, others want to go backpacking for a year. Many have bicycles. Most have laptops. The only way to cater for a typical student was to forget the idea of a typical student! 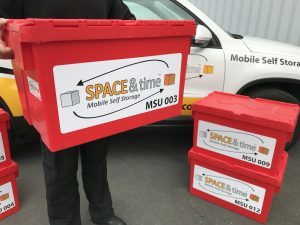 We decided to offer a service that allowed students to book for as short or long a period as possible, to base our pricing on the number of boxes or items stored and to say yes to bicycles, furniture, computers, sports equipment and pretty much anything else a student might need to store. We also knew that students would want the peace of mind of knowing that their items were completely secure even if they never visited our self-storage facility. We never take risks with our customers’ belongings and students can rest assured that their worldly goods will be protected by monitored alarm systems and CCTV day and night. So ironically, the answer to the opening question was that it didn’t really matter what a student self-storage facility looked like because students are not likely to be visiting them. The service had to be the main consideration and we think we’ve got that just about right. To get started, please click the ‘Get Started’ button on our home page. To talk to us first, please call 0161 207 1260.